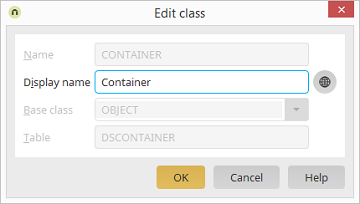 This is the display name for the class in the schema manager. Select the base class here. Enter the table name here. This name is used for the database table where the attribute values are saved. The new, custom class is shown in black, non-italic text.